3 Steps To Become A Travel Agent in Ontario! Being a travel agent is a rewarding and exciting career … and with the right training and education, even you can become a certified travel professional! Generally, travel agents either work from home or from a travel agency office. Whether you choose to be a home based or agency based agent, there are important certification requirements that you need to be aware of if you want to work and legally sell travel services in Ontario. The travel industry in Ontario is regulated. The Travel Industry Council of Ontario (TICO) is Ontario’s Travel Regulator and administers the legislation that regulates the approximately 2,500 travel retailers and travel wholesalers located and operating in the province. Every person in Ontario who is working for a retail travel agency and is selling travel services or providing travel advice to the public must, by law, meet the Industry’s Education Standard and obtain TICO Certification. Before obtaining your TICO Certification, consider the various education and training options available to choose from. You can complete a travel and tourism program in person or online at several colleges or specialized tourism training institutes. Having the proper training and credentials is extremely valuable and can help you be more successful in your career. 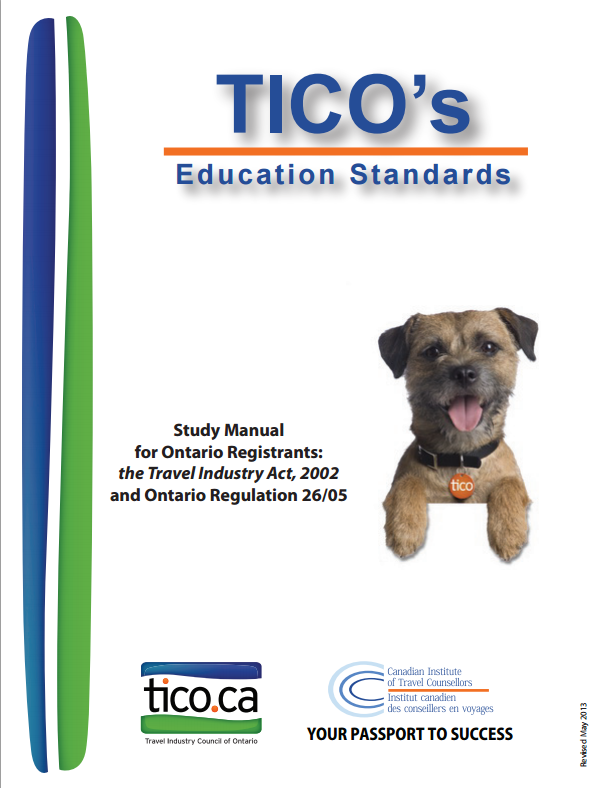 In Ontario, retail travel agencies must be registered with TICO, the Travel Industry Council of Ontario. Before you can start working and sell travel services for one of these registered travel agencies, you have to pass the TICO Education Standards Exam. When you successfully pass the exam, you’ll be able to work at a TICO registered Ontario travel agency and sell travel services or provide travel advice to the public. Everything else you need to know about the TICO Exam! STEP 3: Decide Where You Want To Work! When you’re a fully qualified travel agent, you can decide if you want to work from home as a home based agent or if you would prefer to work in the offices of a travel agency. Speak to a number of different travel agencies to compare their policies to determine which arrangement is the best fit for you. Ensure that any company you’re considering working for in Ontario is a TICO registered travel agency. To check for one of the 2,507 currently registered travel agencies, use TICO’s agency search tool. The beauty of a career in the tourism industry is that you can choose how and where you want to work. Plus, you’ll be able to use your knowledge and experience to book adventures for your clients to travel the world. If you love to travel and enjoy being in sales, then a career as a travel industry professional could be right for you. For more information about becoming a travel agent, checkout our blog What Makes A FantasTICO Travel Agent?